Jim Hake’s upcoming exhibition Easier Said Than Done is a poetic reflection on the personal and social filters that condition the way we present ourselves and communicate. Jim Hake is an American artist who spent twelve years living and working in Turin, Italy. His emigration to Toronto in 2008 inspired a body of work that explores ideas of nostalgia, connectedness, communication, and social relationships. In Easier Said Than Done, Hake presents two series, “Lost and Found” and “The Friend Project”, which explore these concepts through images and language. These composite works are a play on some of the fundamental oppositions that are inherent both to relationships as well as the artist’s creative process: identity/anonymity, multiplicity/uniqueness, fragility/strength. Lost and Found is a project whose roots began while Hake was still in Italy. Hake collected lost gloves on the streets, inspired by their gestural qualities and the fact they are shells/remnants of a human presence. Upon Hake’s relocation to Toronto, the myriad of gloves found on the streets inspired him to use these objects as a metaphor of loss and as opportunities for communication. Hake models these gloves into gestures that replicate ASL (American Sign Language) letters. These gloves are composed into brief, ironic and, at times humorous phrases that are a distillation of ideas of change and adversity. The Friend Project reflects on the traces and memories that connect us to the people from our past. 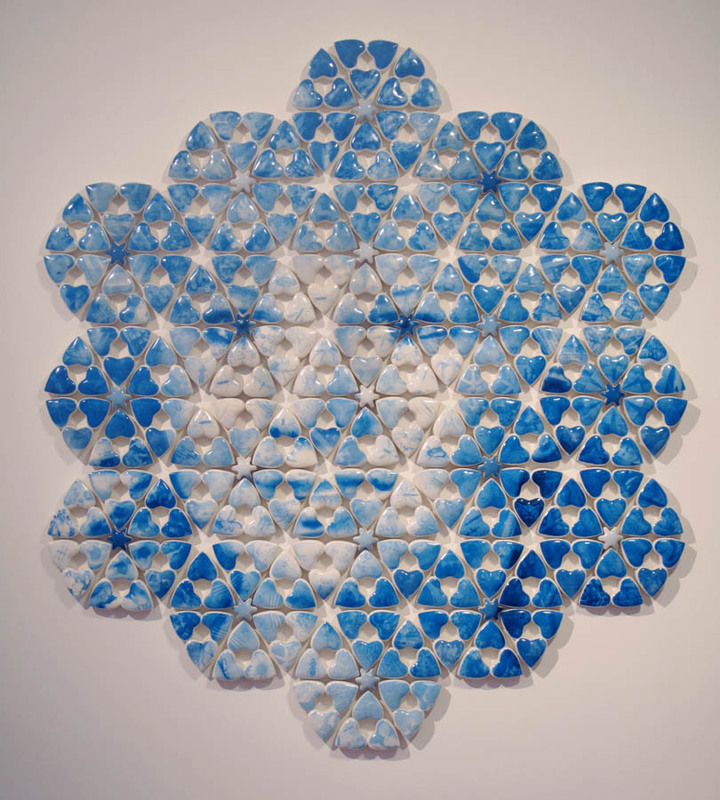 These meticulously crafted ceramic mosaics are composed with the photographs of past friends that are part of the virtual network of the artist. Using social media pages, Hake collects images of friends and transfers them onto porcelain forms. Every image becomes a precious part of a larger portrait. This series reflects on the composite nature of individual identities and the emotional tension between past and present, nostalgia and desire, projection and reality, chance and recurring patterns.